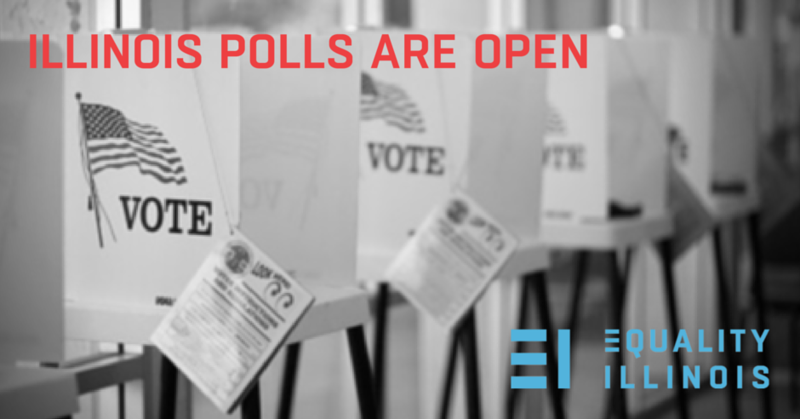 Polling places are open until 7 pm. CAN I STILL VOTE BY MAIL? Yes, if you already have a vote-by-mail ballot. It must be mailed and postmarked no later than today. CAN I STILL REGISTER TO VOTE? Yes. This is the first Presidential Primary Election to offer Election Day Registration. On March 15, voters who are not registered to vote can register and vote at their home precinct only, on Election Day. Any voter who is not registered and needs to know where to go to register and vote on Election Day can just go to the polling place search tool to search by address for their polling place. Voters planning on registering to vote or updating their voter information on Election Day must bring two forms of ID, one with a current address.